Help Us Choose Kathleen Grissom's Paperback Cover! 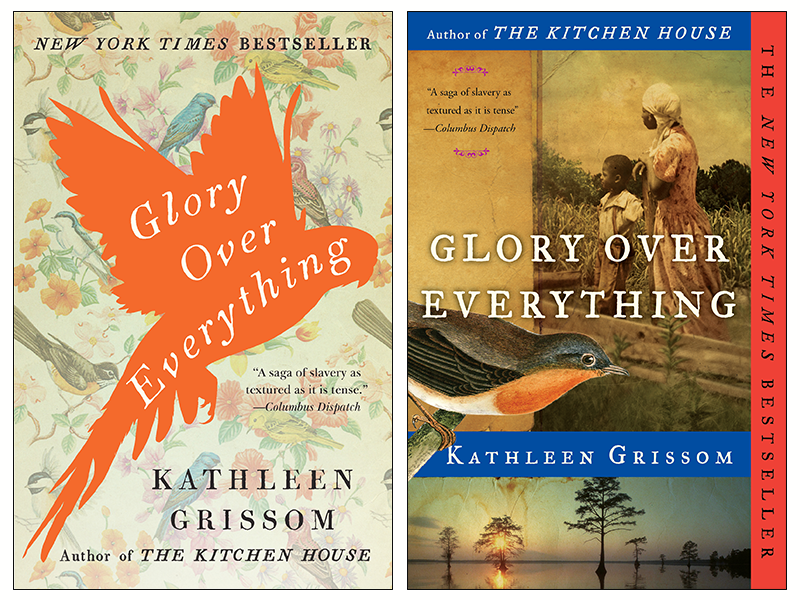 Help Us Choose The Paperback Cover Of Kathleen Grissom’s Glory Over Everything! If wisdom means knowing when to ask for help, just call us the Buddha. But we—Kathleen’s publisher, editor, marketing team, publicists, salespeople, and even Kathleen herself—are torn between these two gorgeous covers for the paperback format. And since the most important people to Kathleen Grissom are, bar none, her readers, we realized that there is no one better to make this decision than you guys. The year is 1830 and Jamie Pyke is keeping a deadly secret. While passing as a wealthy white aristocrat in Philadelphian society, Jamie is actually a runaway slave, hiding in plain sight, still hunted. But his carefully constructed world begins to come apart when Jamie’s beloved young servant, Pan, whom he has sworn to protect, is kidnapped and sold into slavery in the South. Tracing Pan to a North Carolina plantation, Jamie risks everything to save him from the life he himself barely escaped as a boy. Fortunately, a fearless slave, Sukey, has been mothering the terrified young boy, planning to get him out on the Underground Railroad. As the ruthless slave hunters close in, the three make a run for freedom through the Virginia Backwoods and the treacherous Great Dismal Swamp, where they are faced with another desperate choice. This is a **very important decision** and we really appreciate you taking the time to vote. We would also love it if you would pass this post along to family, friends, and especially fans of The Kitchen House and Glory Over Everything, so we can cast as wide a net as possible on this. Voting closes Monday, October 17, 2016 at 11:59 pm EST. Now, without further ado, click the green checkmark followed by the “Vote” button to make your selection. Thanks again! Voting is now closed. Thanks to everyone who voted!